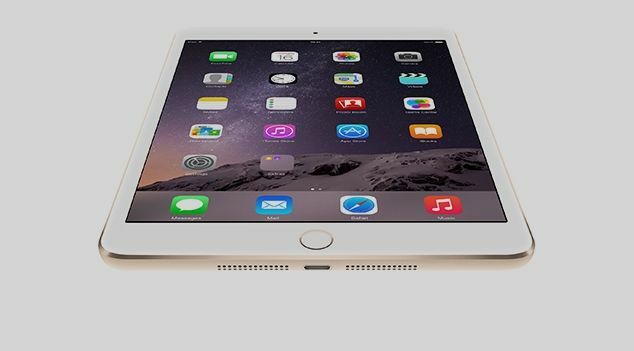 Apple iPad Mini 3 vs Apple iPad Mini 2: What's new? After being thoroughly leaked yesterday, Apple has now officially taken the wraps of the brand new iPad mini, or the iPad mini 3 as it's called, at an event in San Francisco. We loved last year's iPad mini, even going as far as to award it the prestigious 5-star seal of approval in our official review. So to say we're excited about the 2014 update is an understatement. But, what really sets the iPad mini 3 apart from its predecessor? Let's compare the two and see what's new. Headlining the new features on the iPad mini 3 is something we were hoping would be included in the 2013 model, and that's Touch ID. We've had Apple's fingerprint scanning tech on two generations of the iPhone now and now it has finally made its way over to both the iPad mini 3 and the iPad Air 2. There is a slight visual change with the addition of the sensor, as the classic home button has been tweaked with a sapphire glass coating and aluminium ring. Touch ID adds in a number of handy features, aside from using it to unlock your slate, with our favourite being able to use it instead of a password in updated apps like 1Password and Scanbot. The iPad mini 3 will also ship with iOS 8.1 out of the box, Apple's first major update to the operating system that has caused much controversy since its release last month. Along with notable bug fixes, iOS 8 brings iCloud Photo library to everyone, but it's still in beta. In the camera department things look very similar to last year, there's still the 5-megapixel shooter on the back, 1.2-meg Facetime HD camera up front and it'll shoot 1080p video. Both previous iterations of the iPad mini have come with 7.9-inch displays with a 4:3 aspect ratio, and the new version doesn't change anything there. That means the iPad mini 3 boasts a resolution of 2048 x 1536, the same as the iPad mini 2 and the iPad Air. We're yet to see a major redesign for the iPad mini, as this new model still sticks to the same blueprint as its predecessors. Actually, everything is the same - it weighs the same (331g) and has the same thickness (7.5mm), making it thicker than the full-size iPad Air 2. Even though rumours seemed to suggest that Apple might be doing away with the rotation lock switch on the side, we're happy to confirm that it is still sticking around. Gold is also joining the colour options available for the iPad mini 3, giving you another choice if you're not a fan of Space Grey or Silver. Or if you just want to match that new iPhone 6 you picked up last month. Last year's iPad mini 2 saw quite the jump from the original mini, taking the same internal specs from the iPad Air and squishing them into the much smaller form-factor. An A7 64-bit processor and 1GB RAM, along with the 16GB, 32GB, 64GB and 128GB of internal storage options were the order of the day, but what's changed this time around? Well nothing really. Apple didn't divulge all the specs for the iPad mini 3, in-fact they barely mentioned it at, but the Apple website confirms that the iPad Mini 3 has the same A7 chip with a 64-bit architecture and M7 motion coprecessor as last year's iPad Mini. Wi-Fi has been given a boost too, to the ac standard, which should speed up all those downloads. Apple has seemingly decided that its small slate is about as good as it can be at the minute, as the changes we've seen here are few and far between. Touch ID is nice, but is it enough to make the masses upgrade? We'll have to wait and see. You can pick up an iPad mini 3 from £319 for 16GB, £399 for 64GB and 128GB for £479. Add £100 extra if you want to upgrade to the model with 4G internet. Apple iPad Air vs iPad 4: What's changed? iPad Mini Retina vs iPad Mini: What's changed?